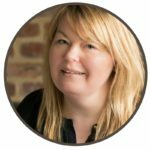 Welcome to Hypnobirthing Doncaster in easy reach of Lincoln, my name's Sarah and since 2008 I've been helping expectant Mums prepare for birth and greatly reduce their anxiety using a combination hypnotherapy and psychotherapy. Our Birth Anxiety Breakthrough Sessions will take you through this transformation phase of your life with ease. Comprised of 10 x 1-2-1 sessions to be taken pre and postnatally plus fully comprehensive antenatal education materials. Using a combination of CBT & Hypnotherapy for Birth The Birth Anxiety breakthrough has helped 100's of expectant Mums to release their fears and create positive birth experiences and start to parenting. Did You Know The Way You Think Can Affect Your Baby's Birth? Our signature birth preparation course for overly anxious minds is a life changing mindset training programme (incorporating of CBT & hypnotherapy) for expectant Mums. 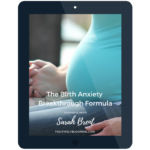 Comprising of an intensive six-week online antenatal course plus weekly LIVE group Q&A sessions in our Facebook Group, the birth anxiety breakthrough formula has helped 100's of women birth calmly, confidently and courageously. What if you could achieve a calm birth regardless of where and how? Not overly anxious but do want to be Birth Ready. My hypnobirthing home study course is an advanced hypnobirthing antenatal course. With step-by-step guides, practice exercises and how-to's on how to make hypnobirthing practically foolproof. You can consume these materials in a weekend so you and your partner are birth ready! Want to get together in-person for four hours of Hypnobirthing Essentials in Lincoln? Book your place by emailing me sarah@positivelyblooming.com the best time to come is between 20 -32 weeks, bring your birth partner and leave feeling ready and prepared for almost anything. Hi Sarah, following attending your workshop I wanted to share our story with you. I've been meaning to for a while as my baby came early at 33+5 22nd May so I didn't get to complete the online course in preparation (he still wasn't due yet until 5th July). Our hypnobirthing baby, Annabelle Lily arrived Thursday 28th April, weighing 7lbs 12oz. My labour was super quick- the very first contractions started around 1.30am, we got to QMC at 5.45am and she was born at 9am. I had the water birth I was hoping for. I believe that the hypnobirthing helped me to remain calm, focused and relaxed and I gave birth with no pain relief at all. I felt like I didn't have time to even think about it! 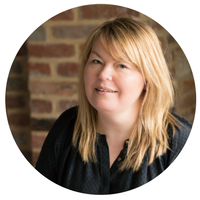 Sarah Brent is The Birth Anxiety Coach offering Specialist Hypnobirthing & CBT for Pregnancy Birth & Motherhood near Doncaster in easy reach of Lincoln. 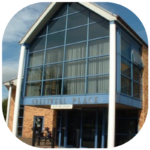 These day most of our sessions are done online for convenience however, we still offer in-person appointments at our location practice at Greetwell Place, Lime Kiln Way, Lincoln (next door to JTF).